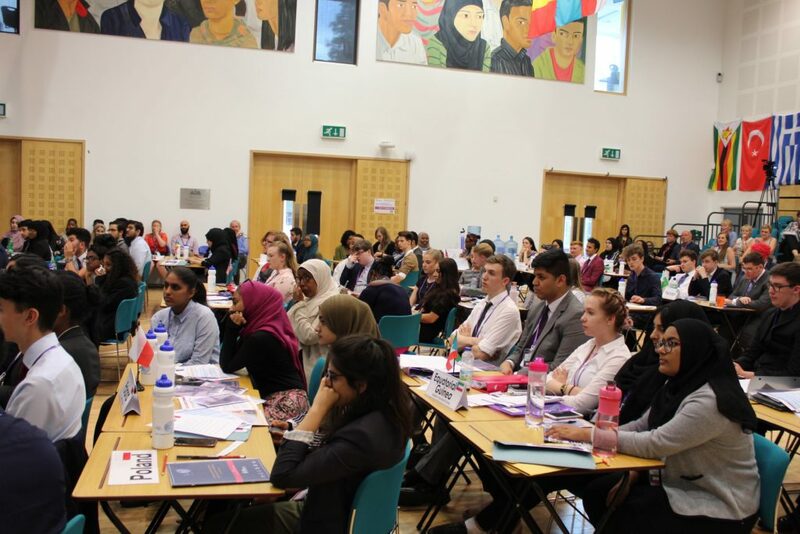 The annual JCC Model United Nations (MUN) event took place at Joseph Chamberlain Sixth Form College, Birmingham, between July 6-8th. The original event was the first of its kind in the country and has maintained its status as the largest since. MUN was set up in 2011 at Joseph Chamberlain Sixth Form College as a way to increase the global awareness of its students and those from participating colleges, broadening their horizons. Students are required to represent countries from across the globe, empathising with the country’s position on a number of issues. Often young people are tarred with the brush of apathy, or seen as a group “disengaged with their role in democratic processes”. But over the weekend of MUN these ideas have been challenged, often quite spectacularly! The conference develops skills that are transferrable to higher education and the work place. These skills include independent research, developing formal United Nations resolutions, cooperation and debate with peers and public speaking. At university interviews previous participants have been asked about the role of MUN events in their development and they have been able to highlight its importance. MUN has a long pedigree with over 400 conferences taking part worldwide. Joseph Chamberlain is the first institution to offer MUN exclusively for Sixth Form College students. Sixth Form Model United Nations events are now offered by several colleges around the country. 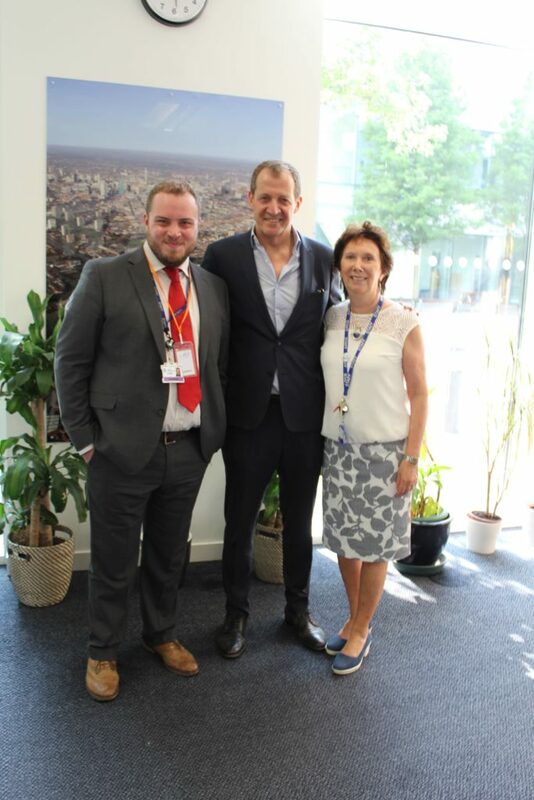 L-R: MUN Coordinator Tom Williams, Alastair Campbell, and Joseph Chamberlain College Principal, Elly Tobin.